The 4th CAD2CAM4PCB seminar was held yesterday in our German factory. Over 4 seminars, we welcomed 50 customers from Belgium, The Netherlands, Germany, Italy and Greece! The day started with an introduction round where customers learn to know each other and shared their CAD software preferences. The purpose of the day was to create an interactive session between attendees where anyone could ask questions at any time. The PCB production process was then explained in a 1,5 hour presentation including sleeves, pictures and videos showing each step. After a coffee break we continued the day with a 1 hour factory tour to experience what our visitors just learned in the previous presentation. Lunch was served to fill the inner self and we continued the day with the optimum PCB design flow from CAD to Gerber to PCB Visualizer to CAM. This 1 hour presentation handled data formats, industry standards and created output tips to configure your DRC settings in your CAD system. Coffee or tea was served and we finished the day with our last 1,5 hour presentation explaining PCB Visualizer, PCB Configurator, PCB Checker and all editor tools. A more detailed explanation on the day program can be found here. We noticed that many of the attendees were not aware of the many productions steps and checks involved in PCB production. Most were pleasantly surprised and grew conscious about the influence their designs can have on the production and the consequences thereof. The next grand discovery was PCB Visualizer and its functionality together with the many other online freeware tools we explained. This left our customers with an overall very positive impression. The next seminars are scheduled on the 31st of May and the 28th of June. If interested, please register here. The maximum number of attendees is limited to 15 per day. 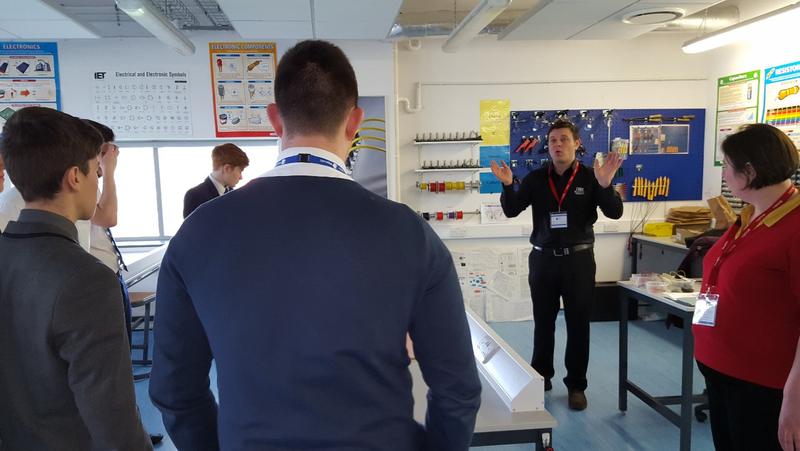 The 3rd of March 2016, Electronic engineering students at Wigan UTC were visited by Steve Jones, the Eurocircuits regional manager for UK and Ireland, based in Devon. 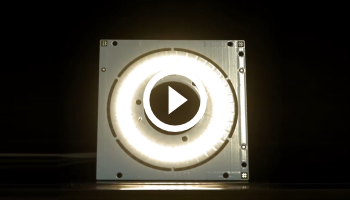 Eurocircuits are specialist manufacturers of prototype and small batch PCBs. They have specialist factories in Germany, Hungary and India and sales centres in Belgium, France, Germany, Hungary, Switzerland, Italy and UK. 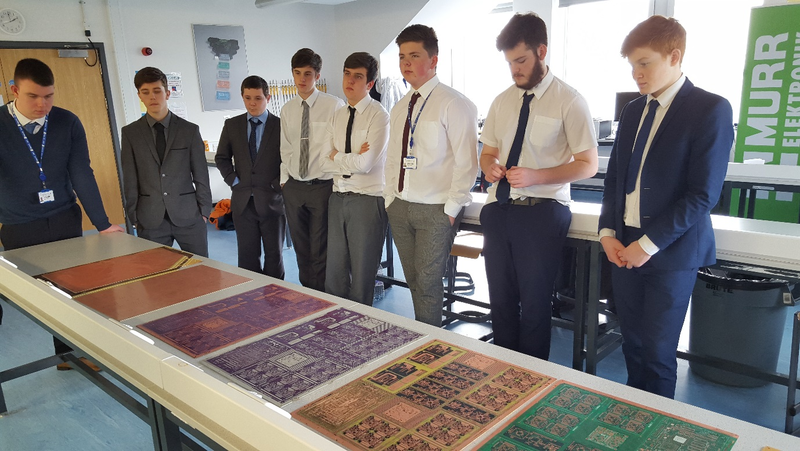 Steve gave a master class to students on the complex processes involved in the design and manufacturing of multi-layer Printed Circuit Boards. Students found this extremely interesting and gained a great deal of knowledge which will support them in the completion of their research projects. 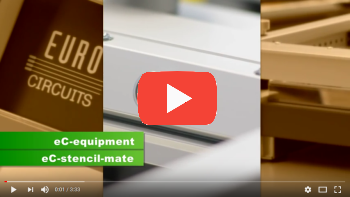 We pride ourselves on the diverse range of subjects our students study and PCB design and Manufacture is one of them. It is so beneficial to the students to have hands on experience and to be able to learn from experts in their fields. PCB design and manufacturing is an area that is not often studied by students in school or at college, we deliver this because we believe it develops students’ problem solving skills and prepares them for their future careers in the engineering sector. Engineering students at Wigan UTC study a broad range of subjects and each subject area has a real work link. Students benefit from this approach as it enable they to fully apply their theoretical studies and practical skills to the world of work. Eurocircuits where very happy to be invited to UTC and impressed with the high level of electronic understanding the student displayed and to have the opportunity to help this very innovative approach to practical learning support. 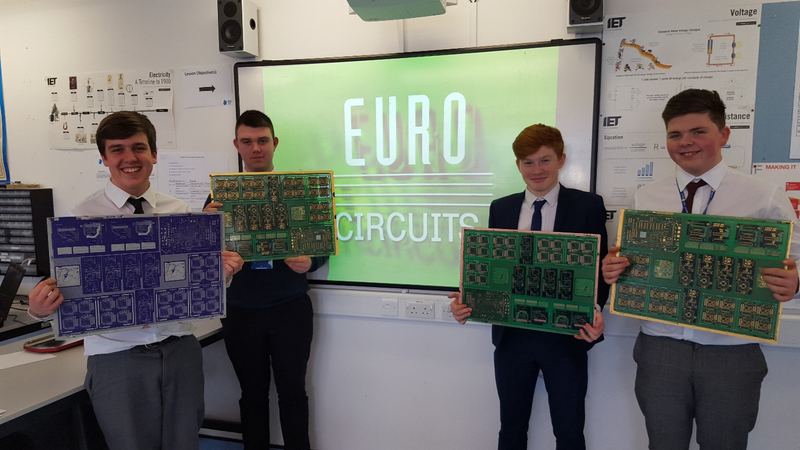 Eurocircuits work with several colleges and universities offering complimentary onsite presentations to students explaining design guidelines, How a PCB is made and the PCB business principles within Europe. 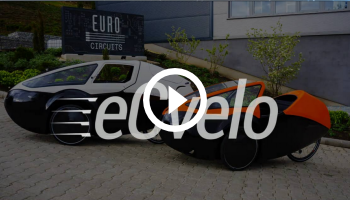 If you would like to find out more about this, please contact Steve jones (steve.jones@eurocircuits.com – +44 7794 906 982).